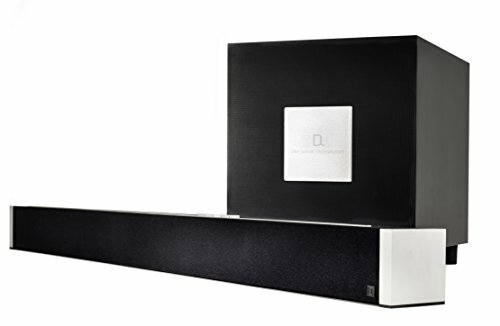 The W Studio sound bar system is Definitive Technology's flagship wireless sound bar that perfectly blends high-performance theater sound with hi-resolution musical reproduction. The W Studio's purposefully slim design (only 3.5" deep) is only overshadowed by its fit and finish, featuring solid aluminum end caps. The W Studio uses Definitive Technology's proprietary Spatial Array technology that aids in creating a high-definition, room-filling 5.1 channel surround sound experience. The compact wireless subwoofer creates waves of big bass via its downward firing 8-inch woofer, bass port and robust 200 Watt amplifier. HDMI switching for both audio and video maximizes this home theater's high performance potential.